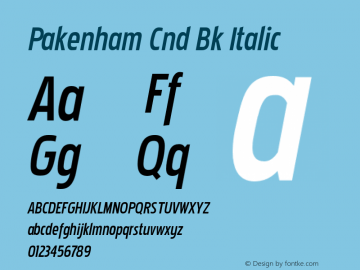 Pakenham Cnd Bk font family series mainly provide Regular,Italic and other font styles. 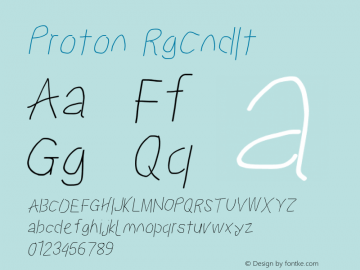 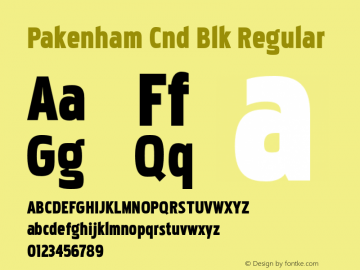 Pakenham Cnd Blk font family series mainly provide Regular,Italic and other font styles. 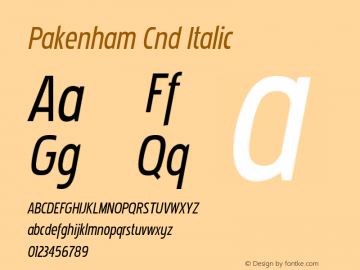 Pakenham Cnd font family series mainly provide Bold,Bold Italic,Italic,Regular and other font styles. 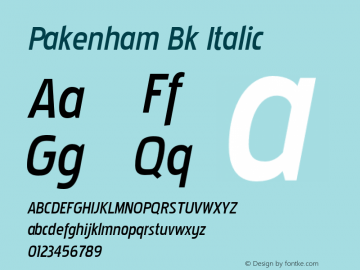 Pakenham Bk font family series mainly provide Italic,Regular and other font styles. 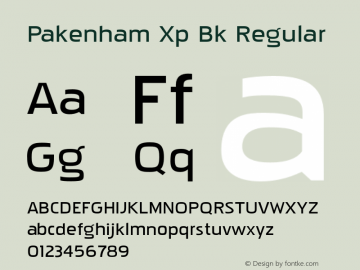 Pakenham Xp Bk font family series mainly provide Italic,Regular and other font styles. Pakenham Cd Bk font family series mainly provide Italic,Regular and other font styles. 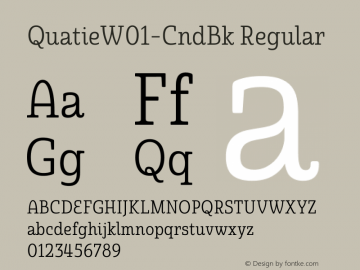 Quatie-CndBk font family series mainly provide Regular and other font styles. 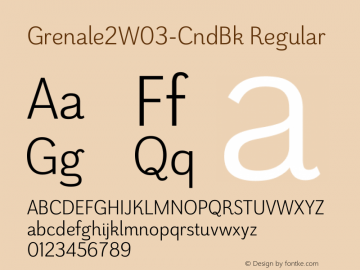 Grenale2-CndBk font family series mainly provide Regular and other font styles. Torcao-CndBk font family series mainly provide Regular and other font styles.